A plot with two strangers in a spaceship with 90 years on the clock is intriguing enough for any sci-fi fan. 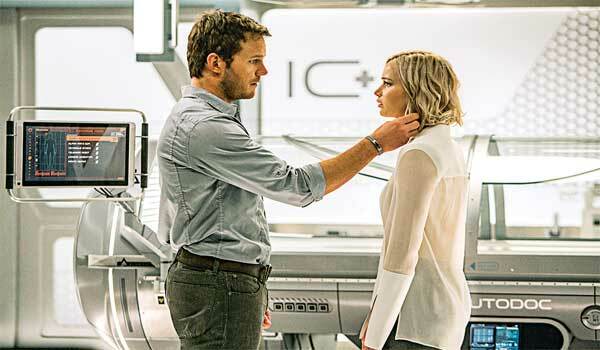 The lead pair share a decent chemistry in this mega-budget space romance. While some may find the premise inconceivable, the movie must be lauded for its VFX. Watch it for Sheenai??i? ?s brilliant potrayal of a humanoid bartender. While Cotillard and Pittai??i? ?s chemistry is spot on, itai??i? ?s the luxurious shots and the ease with which a spy thriller and a classic romance have been brought together that truly keeps you glued to your seat. While it doesnai??i? ?t live up to other blockbuster love stories, simple storytelling and convincing performances make this worth your time. Far better scripted than many earlier horror-comedies, this movie has many hilarious moments that keep the narration moving. The plot centres on a gang of five who con the gullible with their fake ghostbusting act. What happens when they are sent by a realtor to scare away a potential buyer of an old school forms the rest of the plot.Ai?? The encounter with a ghost, a talented bunch of actors and perfect comic timing keep this film going. Price of requip xl Ai?? 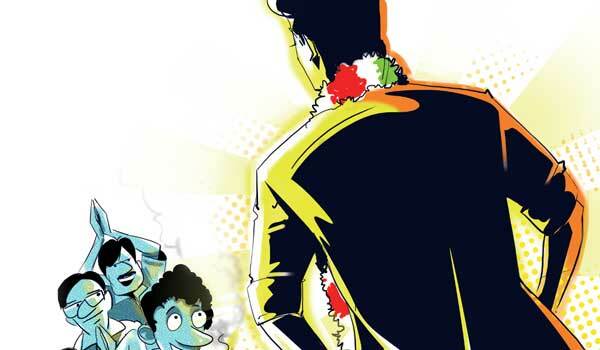 With most theaters having been blocked for the Pongal-festival films, the yearai??i? ?s first Friday saw the release of four small budget movies, with no big names to boast of. Not surprisingly, one of them, Unnai Thottu Kollava was a ghost-flick. Says Vijay Murali the filmai??i? ?s producer, ai?? ?We have been struggling to get the film released for a long time, but couldnai??i? ?t get theaters. Iai??i? ?m grateful that we finally managed to get a limited screening, before the big films took over this Pongalai???. Non-availability of theaters seems to be the common grouse for small filmmakers. Cashing in on the Pongal-festive mood, the much anticipated Vijay-starrer BhairavaAi?? has hit theaters this Thursday (January 12). This is Vijayai??i? ?s second outing with director Bharathan after Azhagiya Thamizh Magan. The movie also marks the actorai??i? ?s fresh teaming with Keerthy Suresh, whose career graph has witnessed a stupendous rise within a short span of time. Incidentally, the film is Vijayai??i? ?s 60th venture. While the director-heroai??i? ?s earlier joint outing may not have been a satisfactory one, one hopes that this action thriller will strike the right chord with his fans. With the highest number of releases to his credit in the year gone by, it seems like Vijay Sethupathi is all set to maintain the record this year too with Puriyaadha Pudhir gearing up for release. Sharing space with him is Gayathri, his co-star from Naduvula Konjam Pakkathe Kaanom. Apart from their interesting screen chemistry, one can expect Sethupathi to be showcased in a different light. Touted as an emotional crime thriller, the film has been directed by debutant Ranjit Jayakodi. Directed by V V Vinayak, Khaidi No 150 is Megastar Chiranjeevi’s 150th film. The movie also marks the comeback of the 61-year-old actor after a span of 10 years. Kajal Aggarwal plays the role of the leading lady. The Telugu-action drama is a remake of A R Murugadoss’ 2014 blockbuster Kaththi starring Vijay and Samantha Ruth Prabhu. The Telugu version also stars Tarun Arora, Brahmanandam, Posani Krishna Murali, Ali, Prudhviraj and Raghu Babu in supporting roles. Mega Power Star and son of Chiranjeevi, Ram Charan has made a special appearance in the film. Shatamanam Bhavati, starring Sharwanand and Anupama Parameshwaran in lead roles, released today. Produced by Dil Raju and directed by Satish Vegesna, the film has Prakash Raj and Jayasudha as an elderly couple. The movie was shot in the city and in the picturesque areas of Godavari districts. Music has been composed by Mickey J Meyer and cinematographed by Sameer Reddy. The film explores the dynamics of a relationship between a grandfather and a grandson. With the New Year, came new goals and aspirations. Many people, all your life, will tell you to follow your dreams, follow your passions. Become an entrepreneur, start something on your own, donai??i? ?t work for somebody else. All of that is fine if you really have something deep within telling you that you need to start your own restaurant or write your own book, but only if you really canai??i? ?t shut that voice up. There is a difference between leading the herd and simply wanting to be at the front. And as somebody who worked for 10 years in a very comfortable software management position, travelled the world, and now doing my own thing in writing and comedy, I just want you to think about a few things. Many people quit their jobs after theyai??i? 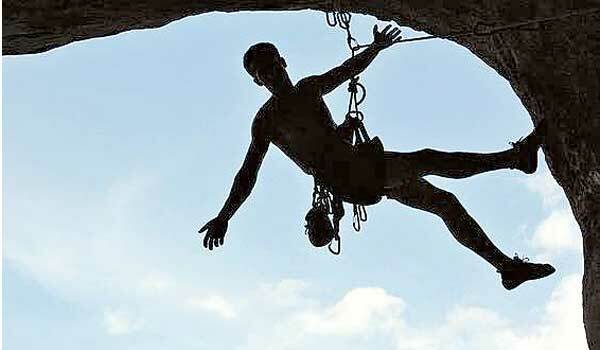 ?ve saved up a few lakhs in the bank, and then go jump into the deep end of the pool. No no no. You have to walk before you can run, and learn to swim before you go into the deep end. My own strategy was to make 30 per cent of my IT salary by writing for a few months in a row, while still keeping my IT job. When I hit a stride, I quit. In fact, the month I quit I made 60 per cent of my IT salary in writing and comedy. And the month after, when I had no IT job, I made four per cent. Get ready. Nice hotels. Good food. An office with fancy amenities, and people around you. Oh man, I miss that. Starbucks is cool, but I canai??i? ?t force myself to get here everyday and spend more on a coffee that a full biryani and kabab at the local restaurant. There are times I was more productive at my part-time job while working at my full-time job. I had the empty conference rooms, the whiteboard, the space to move around. Time management is even harder when you work for yourself and youai??i? ?re not stressing yourself to get to an office on time, and I regret not learning this earlier. I used to wake up, gym, quickly eat and get ready, finally putting my office tag on my chest and head out the door. And you know what, I was wide awake, I was alert, I was motivated, I was ready. Now I stumble out of bed, check Facebook, make coffee and waste around for about an hour. When I finally do shower, Iai??i? ?m groggy and a bit full from a breakfast I didnai??i? ?t need, and Iai??i? ?ve barely walked around at all. The body needs movement to get the brain moving, and while we waste a lot of time in corporate life web surfing and such, we also get stuff done in those one to two hours a day of real work we do. So this is not an ode to corporate love ai??i?? but more a word of caution. I donai??i? ?t plan on going back to the 9 to 5 anytime soon, but itai??i? ?s okay to be part of a system if you truly enjoy your job and have a stable future ahead with it. As long as you can look at the guy or girl five years your senior and think ai?? ?that looks awesomeai?? ?, more power to you. Have you smelt the air lately? There is a nip in the air, nostalgia, and an excitement of a rerun. It is the season when old fallen heroes rise again. And nothing can be more heroic, or worthy of a salute. But we, as a people of this city, have rarely stood up for our heroes; and while we grudgingly basked in their moment of glory, and feebly pretended to cherish the tales of their valour, we also quickly forget. The same heroes we worshipped have decided to come back and conquer again, with age serving no barrier. Chiranjeevi, who quit movies at his peak to enter politics, is back on the big screen again, after a gap of nine years. Taking him on, shot to shot, show for show, is his greatest rival ai??i?? Nandamuri Balakrishna ai??i?? who, ageing and all, will find the adrenaline flowing across theatres, as two superstars slug it out during Sankranti like in the good old days. And so I brood about the good old days and recall more heroes of the past. Mohammad Azharuddin will never play cricket again, but he is considering fighting elections to enter the Hyderabad cricket administration. product launch, but he might mentor a whole new set of next-gen entrepreneurs. At their peak of glory, they give us all in this city a larger identity. But like diamonds, the souls of heroes are forever. And so too our heroes of yore, back from the depths of despair in this season, will see a second coming. I hope this time you would cheer for them. And their indomitable spirit. TAILPIECE: One of the greatest legends of Hyderabad was N Chandrababu Naidu, whom people and circumstance banished first from power, and later, from the very city whose modern shape he was to etch. He is back, rising from ashes like a phoenix. Buy trandate 200mg It has been 10 years since the Jaipur Literature Festival began, and each year it seems to be getting bigger and better. ai?? ?We really didnai??i? ?t imagine it would grow so big,ai??? shares author and historian William Dalrymple, who is the co-director of the fest, adding, ai?? ?It was so small in the beginning, I remember one early session which had only 16 people in the audience, 10 of whom were lost Japanese tourists, I think.ai??? While itai??i? ?s a haven for book enthusiasts, the festival is also the place to be for lovers of political discourse and culture. 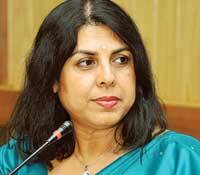 Author Namita Gokhale, also the co-director of the event, emphasises, ai?? ?We try to get fresh speakers from all across the globe to talk and showcase diverse voices.ai??? We chat with some of the speakers about their work, literature today and what to expect at JLF 2017. 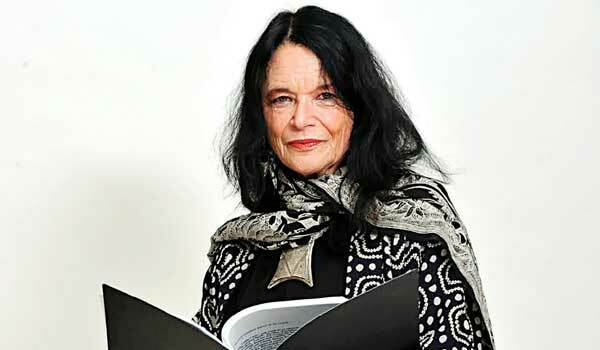 American poet Anne Waldman is remembered for her work with the Beat generation writers and poets. She set up the Jack Kerouac School of Disembodied Poetics with poet Allen Ginsberg. Although she has come a long way, a yearning for the 60s still remains. ai?? ?I think we make extraordinary advances always in our literary communities ai??i?? more women, more diversity ai??i?? but I do miss a certain intimacy of conversation and level of discourse and activism that were particular in the Beat ethos and the activism of the 60s,ai??? she tells us. Her poems, like Manatee/Humanity and The Iovis Trilogy, speak of our environment, feminism and social change. She wants to bring the same discussions to India. ai?? ?I plan to speak about poetry and activism, documentary poetics, migration and exile,ai??? she reveals. Padel feels a deep respect for India. The British novelist and poet, who is also the great-great granddaughter of Charles Darwin, has inherited his interests and writes on themes of wildlife and nature. For her novel, Where the Serpent Lives, she spent time in the forests of South India. ai?? ?The problems that the Indian ecology is facing are reflected the world over, and is not unique to India,ai??? she tells us. Her books include Summer Snow, The Mara Crossing and Darwin: A Life in Poems. She will be discussing her new book, Tidings ai??i?? A Christmas Journey, apart from talking on broader topics like conservation, migration and environmentalism. ai???Iai??i? ?m also very interested in seeing the work that is going on in Indian regional languages,ai??? she adds. Author Chitra Banerjee Divakaruni has become a household name with novels like Mistress of Spices, and its subsequent movie adaptation, Sister Of My Heart. Based in the United States, Banerjee feels that the Lit Fest has brought an additional interest and enthusiasm to reading and discussion of literature. She will be talking about her new novel, Before We Visit the Goddess, a three-generational tale about a grandmother, mother and daughter. She also plans to discuss her upcoming works and literature. ai?? ?There is a lot of new talent in Indian English writing,ai??? she tells us, adding, ai?? ?The new authors show a new Indiaai??i? ?often a young and outspoken India. Iai??i? ?ve learned so much about contemporary Indian thinking by reading them.ai??? The festival will have discussions on topics ranging from literature to economics, theatre, news and the current political climate. One of the themes of the festival is ai?? ?The Freedom to Dream: India at 70ai??i??. ai?? ?This is Indiaai??i? ?s 70th year of Independence and in that spirit, we wanted to start a conversation about democracy and what it means in todayai??i? ?s context,ai??? says Sanjoy Roy, the producer of the Jaipur Literature Festival, which has previously hosted writers such as Margaret Atwood, Oprah Winfrey, Salman Rushdie and Stephen Fry. This time around, the list is no less impressive. 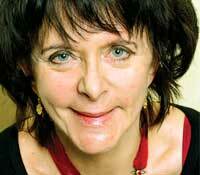 This American novelist, short story writer, poet and activist is making her first visit to JLF. Walker was the first African-American woman to win a Pulitzer Prize for Fiction for her seminal novel, The Color Purple. British novelist Mark Haddon is best known for The Curious Incident of the Dog in the Night-Time. He writes for both children and adults. Winchester is a British writer, journalist and broadcaster. His books include, The Professor and the Madman (which is about his postings across the globe as a journalist) and Pacific (a biography of the Pacific Ocean). Chandraai??i? ?s seminal novel, Sacred Games is said to give the most accurate picture of Mumbai and its mysteries, and was recently picked for a Netflix original series. His other novels, Red Earth and Pouring Rain and Love and Longing in Bombay, have won equal critical acclaim. This Zimbabwean author made her presence felt when she was shortlisted for the 2013 Man Booker Prize, and was the first black African woman to do so. Her debut novel, We Need New Names, is a coming-of-age tale. Barely two weeks since the champagne was uncorked for New Yearai??i? ?s eve and the city is back in the festive mood. Although those with a five-day work week are a bit disappointed that Sankranti falls on a Saturday, depriving them of a holiday ai??i?? the popularity of the traditional delicacies, made during this harvest festival, promise to keep spirits high. Head to Park Hyatt Hyderabad, Banjara Hills, to get a taste of the seasonai??i? 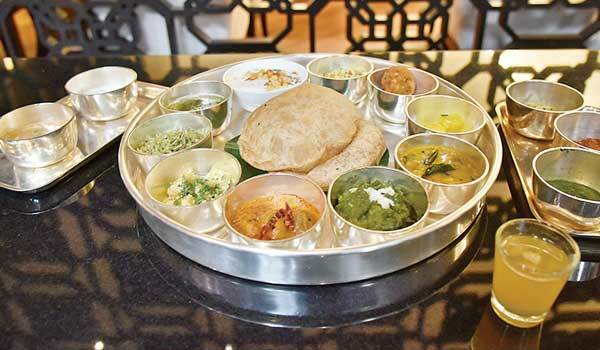 ?s fare as the luxury hotel hosts the Sankranti Food Festival at their multi cuisine restaurant The Dining Room. The new head chef, Shashidhar Vijapure, has curated a delightful menu to recreate the authenticity of traditional festive fare. ai?? ?As the festival is celebrated in winter, the menu for the three-day celebration (Bhogi, Sankranti and Kanuma) are those that generate heat in the body. Sweets such as Nuvvula laddu (sesame sweet) is known to do this effectively. The other specialties are also predominantly vegetarian, made of fresh, local produce,ai??? the chef informs. The buffet spread for both lunch and dinner include Southern delicacies such as pongal, pulihora, mamidikai-pulusu (a tangy mango sambar), kosambiri (salad made of soaked dal) and thayir vadai. ai?? ?The entire country celebrates the harvest festival. So I have also included dishes from up North too,ai??? informs Vijapure, who moved to Hyderabad a month ago after a stint at the Leela Palace in Chennai. Including staples from Punjab and Gujarat ai??i?? like the Surathiundhiyu (mixed vegetable fare) and Sarson ka saag (mustard leaves curry) ai??i?? the chef promises that their menu covers not just Sankranti and Pongal, but also Lohri this season. Festive and indulgent, the desserts include traditional dishes like Holigae (a sweet bread) served with badam milk and Khuskhusi payasa (a viscous milk preparation made of poppy seeds). FOR the first time, the term ai?? ?market crashai??i?? means good news. 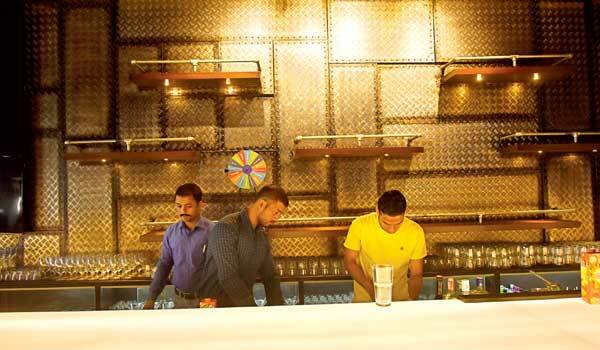 Similar to Bar Stock Exchange, which is popular in Mumbai and Chennai, The Lal Street – Bar Exchange in Hyderabad is the cityai??i? ?s first watering hole where the prices of drinks constantly change based on the demand. Located at SLN Terminus in Kondapur, Bar Exchange has a vibrant feel to it, decked with digital monitors to view the prices. ai?? ?At first, the price of a beer or a cocktail is set at a standard amount. As more people keep ordering the drink, the price keeps increasing. You can see the price fluctuations on the digital monitor as well as the LED screens placed across the bar,ai??? explains John Anjanappa, general manager of Think Tanc, which oversees the operations for the restaurant. While there, do download their unique mobile app, where you can place your drink order, rather than waiting for an attendant to come to your table. ai?? ?The key is to order the drinks as soon as the price drops. By the time the waiter comes to take your order, the price might shoot up again,ai??? Anjanappa points out. Remember to rush to the bar or open your app as soon as you see the message ai?? ?market crashingai??i? ?, as it means that there will be a 40 per cent discount on all drinks. Among the cocktails ai??i?? the Elderflower Martini is a sure winner. A delightful combination of gin and sparkling wine, it is laced with fresh lime, elderflower and basil leaves. it can store up to two cocktails/beers. Thereai??i? ?s also single backpack Ai? ?dispensers which you can wear as jackets and continue sipping on your drink. Another quirky feature is their Bike Blender, where you can make your own drinks and cycle at the same time. There are two bicycles which have a holder to place your drink. The waiter will place the glass and the ingredients for your cocktail and you can make your own drink as you pedal. Thereai??i? ?s also a table cricket game, quite similar to foosball, which could find favour with the younger patrons. Sunburn Arena presents French DJ record producer, remixer, and songwriter, David Guetta live in the city this weekend. The 49-year-old musician will be performing along with German record producer, musician and Ai? ?DJ Robin Schulz. Expect popular tracks of Guettaai??i? ?s such as When Love Takes Over, Ai??Gettinai??i?? Over You and Memories, while Ai? ?DJ Robin will perform songs like Sun Goes Down and Headlights. Gates open at Ai? ?3 pm. For more details turn to Page 3. Known for his outrageous humour and themes, ai???Shouldnai??i? ?t have said thatai??i?? 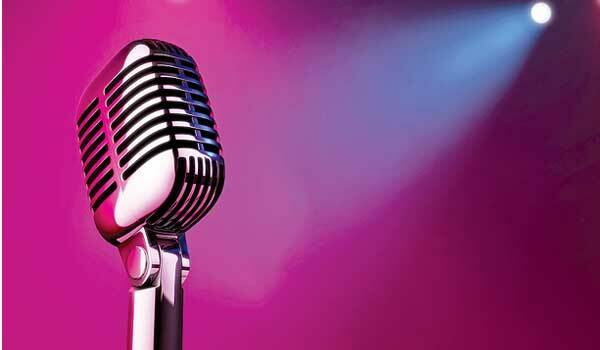 are four words that describe Dubai-based Comedian Nitin Miraniai??i? ?s life so far. Come watch him talk about all the things he shouldnai??i? ?t be speaking about, but does so anyway and how it draws the biggest laughs from the audience. Tickets at `999 for three. SELF-CONFESSED handloom lover and designer Preetham Jukalker moved to Hyderabad from Mumbai a year ago, to work closely with Pochampally weaves. ai?? ?I wanted to build my own brand of eco-fashion instead of adhering to fast fashion norms,ai??? says the designer. He has A-listers from the Telugu film industry patronising his label ai??i?? like Raashi Khanna who is often spotted in his ikat saris while Rakul Preet Singh and Lakshmi Manchu donned the pocket saris on recent occasions. Keeping the principles of sustainability in mind, he has unveiled a new line of customised clothing launched in December called ai?? ?All about Ishq,ai??i?? 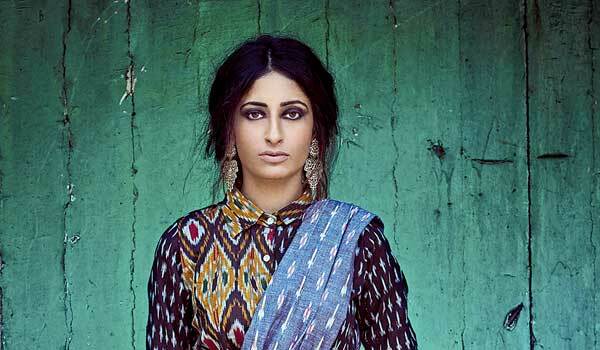 featuring saris with a contemporary twist. Ai??ai?? ?I offer saris paired with cropped shirts and a bow belt. The bow belt and the crop shirts can be paired with skirts, denims and saris,ai??? says the 29-year-old designer. ai?? ?The idea for my customised line struck me when one of my clients, had an Arabian night theme for her sangeet in Kerala and wanted pieces in ikat with a Sufi touch. That is when I made her ensemble with Ishq written artistically all over it in Arabic,ai??? shares the designer. In his new line, expect a mix of Mangalgiri and Narayanpet cotton as surface embellishments. The ikat collection also features natural elements like shells and tassels for some drama. The garment that Jukalker says has everyoneai??i? ?s attention in the cityai??i? ?s fashion forward collective are his range of ai?? ?Ikat pocket sarisai??i??. This multi-functional ensemble that spells boho chic became a favourite with his clients and the designer admits he had not anticipated its popularity. ai?? ?One day, I decided to play around with leftover pieces of fabric, added a pocket to the sari and draped it on a mannequin. I thought it looked smart. This was just before one of my exhibitions in Bengaluru where I created only one piece and it was sold instantly,ai??? says the designer. ai?? ?My range is all about comfortable silhouettes, and we see to it that we are size inclusive. I have a standard size 40 which fits women of several bodytypes,ai??? says the designer.